Water is an important element of life, but it can also be a harsh element for driveway pavers. Acid rain corrodes uncoated surfaces. Water penetration weakens the paver base leading to cracking and chipping. Leaving your pavers unattended can potentially drive your home maintenance costs up. Driveway pavers cost a fortune if replaced frequently. Save your pavers from literally going down the drain with these simple maintenance tips. Excessive water penetration is a potential hazard for driveway pavers. This occurs when proper grading or sloping is neglected when paving flat driveways. When torrential rains happen, excess water is retained longer on the pathway increasing the possibility of penetration into the base of the pavers. 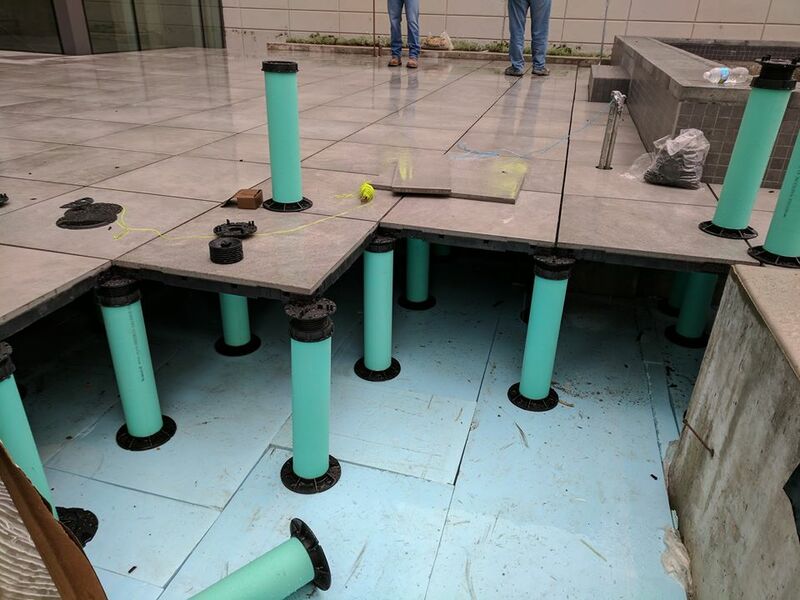 Once excessive water accumulates below the pavers, the base materials float with the water, weakening its support and displacing the pavers. Replacing washed up base materials contribute to additional driveway pavers cost. The solution to excessive water penetration is the application of sealing materials. This ensures the durability of the pavers when subjected to harsh weather conditions and acid rain. Sealing prevents water and frost from seeping into driveway paver gaps and into the paver itself, since these are porous materials. To reduce potential driveway pavers cost, apply sealant every second year after the installation of pavers. Another advantage of proper sealing application is that it prevents stains such as oil stains and rubber markings from contaminating the paver material. The coating is a non-polar compound and does not readily react with stains. As an effect, stains come off easily without a trace as pavers are being cleaned. 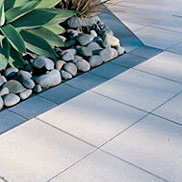 An important advantage of applying sealing or coating is the preservation of the paver colors. Applying coating at regular intervals prevents pavers from fading over time. As a result, the overall curb appeal of your driveway lasts longer. There are two main considerations in estimating the overall driveway pavers cost. The first consideration if the type of paver material and the second is the cost of labor required to complete the installation. Driveway pavers cost are affected by the type of material due to the processes involved to manufacture them. Natural stone pavers may cost a bit more since they become rare over time compared to concrete pavers that can be manufactured using cement and gravel. Paving a long and wide driveway may take a few days to complete compared to a short driveway. The key to keep driveway pavers cost down is to apply simple maintenance tasks such as regular cleaning and coating pavers. Extend the life of your pavers with these simple tips. The effects of water damage can shorten the life span of driveway pavers because water penetration causes cracking, chipping and change the alkaline properties of the paver. If there is no protective coating, acid rain can eat away at the surface structure. Excessive water penetration can goes all the way through the driveway base to weaken its structural support. Driveway pavers need to be sealed with a protective coating at least every second year to prevent water and frost penetration. Another advantage of sealing your drive is that when its time to clean the drive’s surface, it will be easier to do so. Sealing your driveway will not only protect it from the harsh effects of extreme weather conditions and make it easy to clean the driveway, but it will also protect against staining. Applying a sealer to your driveway means that those stubborn oil stains, rubber markings and efflorescence, will not be able to penetrate or be absorbed by the pavers on the driveway. Stains can be removed without a trace. Sealing will also maintain the aesthetic appeal of your driveway. The coating allows your color to retain its brightness, without fading over time. The overall appearance of your driveway is benefited by applying a coating of sealer every two to three years. This will enable your driveway to maintain the same look it had the day it was completed, and because the driveway is a focal point of your property, this will add value and appeal to your home. This is a basic price guide for determining the cost of pavers. The cost of pavers is a wide range of prices simply because there is such a wide range of paver products to choose from. The cheapest pavers are concrete pavers, next you have brick pavers which cost more than concrete pavers. 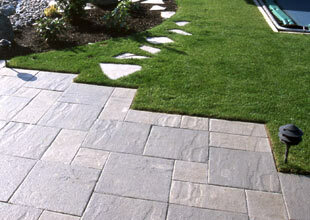 The most expensive pavers are the natural stone pavers. Installing a driveway pavement is a simple yet labor intensive exercise. The cost of laying pavers is about twice as much as laying a regular concrete slab drive because a paver drive involves double handling of pavers, cutting and greater accuracy, yet well worth the effort and expense due to the landscaped appearance of the finished driveway.